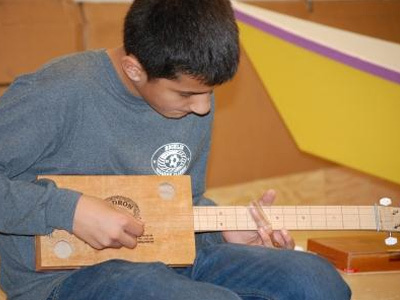 Chris De Firmian has been building boats for many years, but he was excited when he attended a Building to Teach session in 2012 on how to add a teaching component into his work with teens and pre-teens. Now, he found out how to teach math fundamentals while the students also experienced the achievement of completing a project. 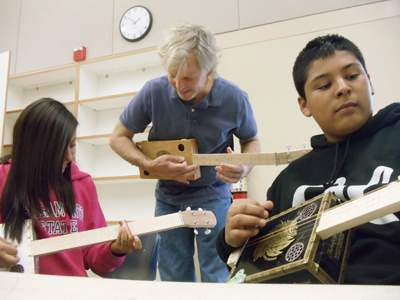 De Firmian works through several public schools in Ukiah, CA, where he is now integrating math concepts into his program, with the techniques learned from attending Joe Youcha’s Building to Teach at a Small Boat Alliance conference in Washington State. De Firmian has now built more than 25 boats with kids using techniques that he learned from Youcha.